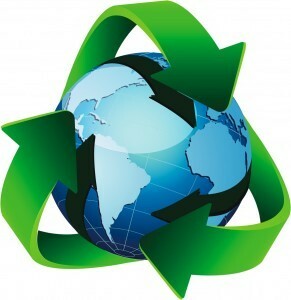 Thank you for subscribing to our green electronic newsletter! In addition to a paperless newsletter, we have switched from paper charts to Electronic Medical Records (EMR). We've Been Listening to Your Suggestions! Matossian Eye Associates (MEA) is pleased to announce new hours of operation as requested by many of you. We have new early morning and evening hours at our offices. This change will help to accommodate all of you early birds and professionals. MEA is happy to announce we are now offering an online payment option. If you are interested in taking advantage of this new, convenient feature, visit https://www.smiledash.com/ to set up your account on this secure website! From there, the website walks you through the enrollment process. Please call 1-800-708-8800 today to schedule your appointment! The FDA recently released a safety announcement regarding incidences of children accidentally ingesting redness relief eye drops and nasal decongestant sprays. While none of the incidences resulted in death, over half the children became ill and were hospitalized. Many bottles of nasal spray and eye drops are not child-proof, and in some cases, children ingested up to half a bottle. If you suspect your child has ingested these products, seek emergency care and contact Poison Control at 1-800-222-1222. How Many Glaucoma Patients Studied Correctly Instill Eye Drops? Correct answer is C: A university hospital conducted a cross-sectional observational study on 70 glaucoma patients for the purposes of evaluating their eye drop instillation techniques. 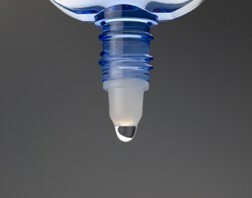 They found that many patients had difficulty correctly instilling eye drops safely (without touching the tip of the dropper to the sensitive globe or periocular tissue) or accurately (with eye drops falling on the eyelids or cheeks). 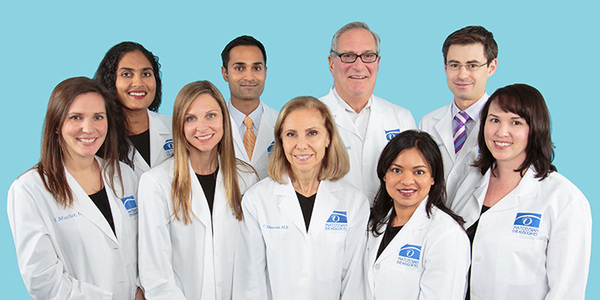 Matossian Eye Associates has two board certified, Fellowship-trained glaucoma specialists. 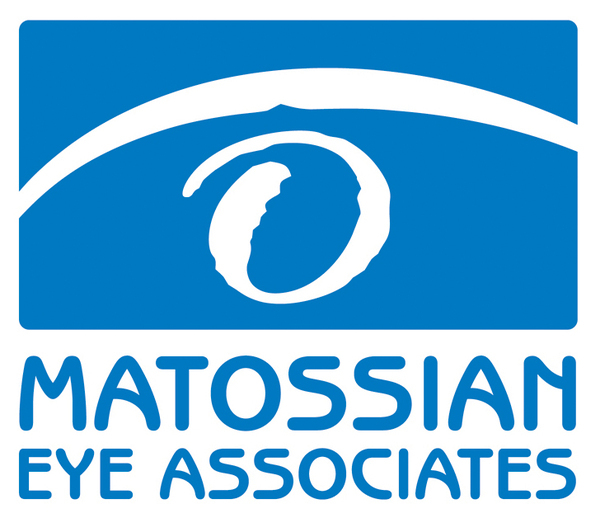 For a consultation, please call our office at 1-800-708-8800 or visit us at www.matossianeye.com. Reference: Gupta R, Patil B, Shah BM, Mishra SK, Dada T. Evaluating eye drop instillation technique in glaucoma patients. J Glaucoma. 2012 Mar; 21(3):189-92. Matossian Eye Associates (MEA) is recommending SimplyTouch's™ new eye drop applicator inspired by Dr. Harris Silverman, founder of The Eye Associates of Bradenton, Florida. The SimplyTouch™ applicator helps you easily instill your eye medications or artificial tears. The applicator extends the life of your eye drops by giving you better control of the amount and placement of the drops. The eye drop locks into place until you touch it to your eye - no need to take off your glasses or tilt your head when instilling eye drops anymore! It is easy to use and to clean. MEA has the SimplyTouch™ Eye Drop Applicator available for patients in all three offices for $10. Simply drop by to purchase one at your convenience and we will show you how to use it! Please visit this link to watch a 1 minute instructional video. Matossian Eye Associates is now able to test for Sjorgen's Syndrome through a simple test performed in our office. Sjö™ is a proprietary laboratory test developed by Immco Diagnostics, Inc. which combines traditional markers with three novel, proprietary biomarkers, allowing earlier detection of the disease. 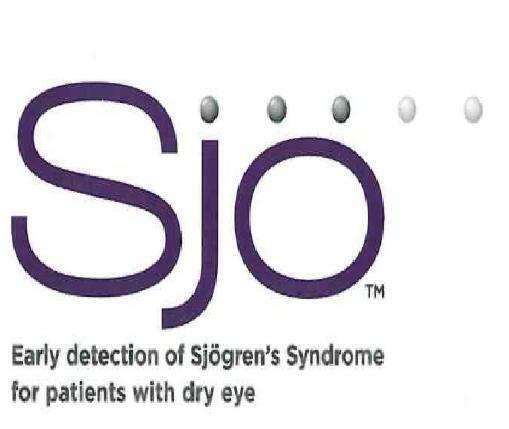 MEA is in a unique position to detect early stages of Sjögren's Syndrome, as dry eye is one of the early hallmarks. MEA is a certified Center of Excellence for Dry Eye. Sjögren's Syndrome is among the most common and under-diagnosed autoimmune diseases. It affects approximately 4 million people in the US, of which 3 million are undiagnosed. Currently, there is an average delay of 4.7 years for patients to receive an accurate diagnosis, and patients are often diagnosed in late stages of the disease after gland degradation has occurred. Earlier detection is important to allow time for proper management. MEA hopes to enhance the lives of the 1 in 10 estimated Dry Eye patients who may actually be suffering from Sjögren's Syndrome. Results in 10-15 minutes by a test that can be performed during a regular eye exam. The ability to diagnose and treat patients with allergy symptoms to increase the level of care and understanding as to the cause of individual eye allergies. Custom antigens reflecting the Northeast allergy profile. A video on this new test can be viewed here. Does Cataract Surgery Increase Lifespan? A study released from the American Academy of Ophthalmology (AAO) has found that people who have had vision loss from cataracts and underwent cataract surgery have a 40% lower long term mortality risk than those who do not have the surgery. A previous study had indicated people with visual impairments were at a higher mortality risk than same age peers with normal vision. It suggests that cataract surgery could potentially reduce this risk. The AAO study showed a relationship between living longer and having had cataract surgery, however the link is not clearly understood. Some factors according to the AAO include "improvements in physical and emotional well-being, optimism, greater confidence associated with independent living after vision improvement, as well as greater ability to comply with prescription medications." The participants who did not have surgery may have had other health problems which prevented them from getting cataract surgery and may explain the poorer survival rate. 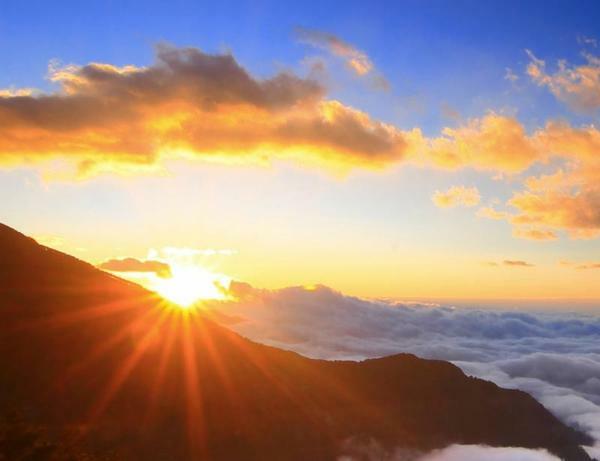 Cataracts develop over time, clouding the natural lens of your eye. Cataracts can cause difficulty with driving, reading, hobbies and other daily activities. 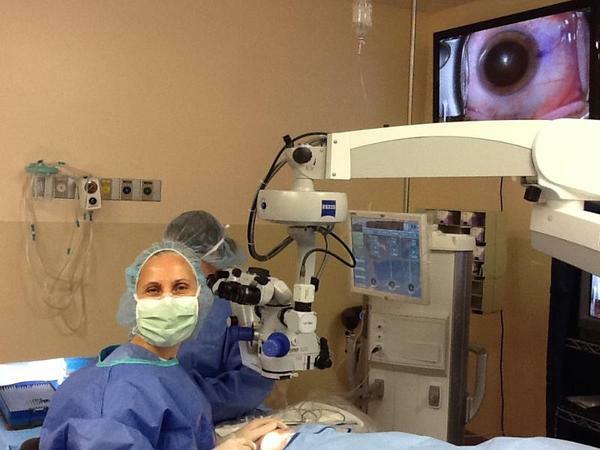 Matossian Eye Associates is a Center of Excellence in cataracts. If you suspect that you or a family member is having symptoms of cataracts, please call our office at 1-800-708-8800 to schedule an evaluation. MEA is proud to welcome Mark L. Moster, MD - a world-reknowned neuro-ophthalmologist from Will's Eye Hospital in Philadelphia, Pennsylvania. Dr. Moster will be seeing patients in our Hopewell, New Jersey office one morning a month. Please call 1-800-708-8800 for a consultation. Cynthia Matossian, MD presented her latest cataract surgery technique at the Hawaiian Eye and the Caribbean Eye Conferences early in 2014. Ilya Rozenbaum, MD presented an educational lecture on glaucoma to the surgeons at the Surgery Center of Central New Jersey. Cynthia Matossian, MD led several live webinars and round table discussions for Ophthalmologists, Optometrists, and other eye care professionals across the country. All of MEA's Optometrists attended the meeting of the New Jersey Society of Optometric Physicians in Princeton, NJ for continuing education in March 2014. Cynthia Matossian, MD was interviewed at the Hawaiian Eye conference. The video can be viewed here. Cynthia Matossian, MD was honored to be invited to become a board member of the American College of Eye Surgeons (ACES). 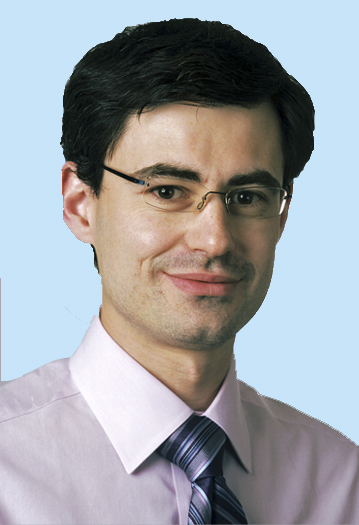 Ilya Rozenbaum, MD attended the annual meeting of the American Glaucoma Society in Washington, DC. Cynthia Matossian, MD was honored to accept the invitation to join the Ocular Surgery News editorial board. The term for this position is for five years. Cynthia Matossian, MD received an Outstanding Female in Ophthalmology Award from MillennialEYE. 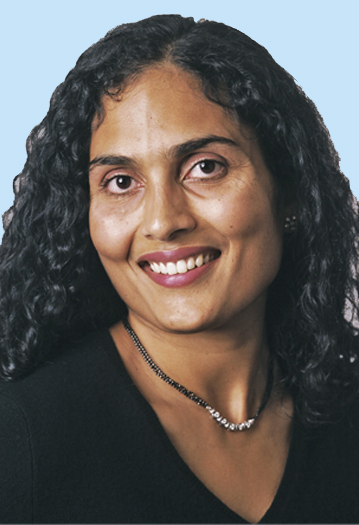 Priya Desai, MD presented an educational lecture on New Treatment Options for Cataracts to the Bucks County community on March 28th, 2014. Cynthia Matossian, MD was invited to join the American-European Congress of Ophthalmic Surgery (AECOS), a prestigious Society dedicated to advancing vision care and improving patients' quality of life through innovation, education, and advocacy. Cynthia Matossian, MD had the following article published: EyeWorld, January 2014, "Toric IOL Properties". This article can be viewed here. Thankfully, the brutal winter is behind us now and we can all look ahead to a beautiful spring and warm summer days! This past year has been quite memorable for my family. Our daughter celebrated her 13th birthday and our son started preschool. Devika is a wonderful big sister to her little brother, Mohit. It's truly amazing to my husband and I how fast our children are growing up! We have a big family trip planned to India this summer. We are already getting excited! As the weather turns warmer, we look forward to the kids playing outdoors and spending time on the beach with our family and friends. Wishing You a Wonderful Spring and Summer!